GTEN Invites you to Sponsor its 2019 Symposium! 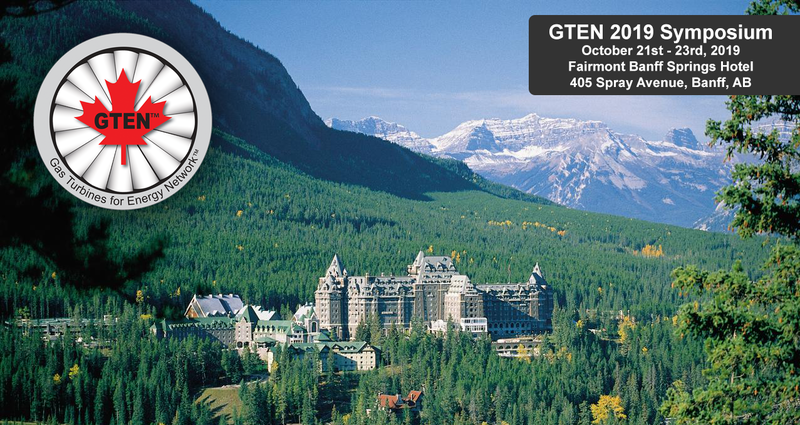 The GTEN 2019 Symposium is scheduled for Monday, October 21st, 2019 - Wednesday, October 23rd, 2019 in Banff, Alberta. The Industrial Applications of Gas Turbines (GTEN) committee, formed in 1973 under the sponsorship of the National Research Council of Canada, is a Technical Advisory Group to Canadian Industry and Government. The group provides a forum for the exchange and dissemination of ideas and the communication of new developments related to the industrial application of gas turbines. The GTEN committee’s specific functions relate to the organization of the biennial technical symposium for the presentation of technical papers and discussion panels covering all aspects of industrial gas turbine operation as well as providing a forum for reviewing directives, guidelines, codes and practices, as issued by Regulatory Agencies, which impact directly on the application of gas turbines. For more information or to secure a sponsorship contact us at: tracy@canavents.com or by telephone at 905-436-0375. Sponsorship signage placement at the event entrance; & registration desk. 1x table top display (or space for pop-up display) next to the registration desk for promotional materials. Acknowledgment of the sponsoring organization on the screen savers in the meeting rooms. Inclusion of sponsoring organization marketing material at the registration desk. Special acknowledgement of the sponsor on the day they are sponsoring. Sponsorship signage at the reception and display. Acknowledgment of the sponsoring organization on thescreen savers in the meeting rooms.